Getintothis announces The GIT Award 2013 by teaming up with former nominee and MOBO Award winner Esco Williams for November 16 launch party at Leaf’s Grey Space. Liverpool’s premier new music prize returns on Friday November 16 after the inaugural prize – widely considered as putting the city firmly back on the world’s music map – was hailed a huge success. 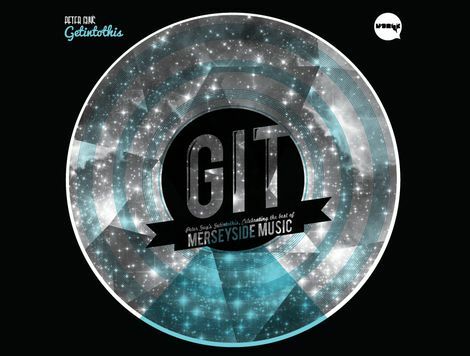 Launched in November 2011, The GIT Award, captured the music industry’s imagination. Dubbed the ‘Scouse Mercury Prize,’ it became the first regional award of its kind in the UK to champion new and emerging music. Collaborating with over 80 companies from Merseyside and the national music industry, the Award showcased Liverpool’s rich musical diversity, from the thriving hip hop scene to its electronica artists, from its long-established country and roots community to punk, folk and metal. The result was a showcase which captured the world’s music press garnering coverage from the BBC, MTV, NME, the national print and online press, the UK music industry, lifestyle magazines and the cornerstones of Liverpool’s media. The 2013 award, which launches on 16 November this year, is no different. The GIT Award judges, which so far include The NME, The Quietus, Liverpool Football Club and the cornerstones of the Liverpool music and arts scene, will seek to find the very best new music emanating from within Merseyside’s melting pot of creativity. 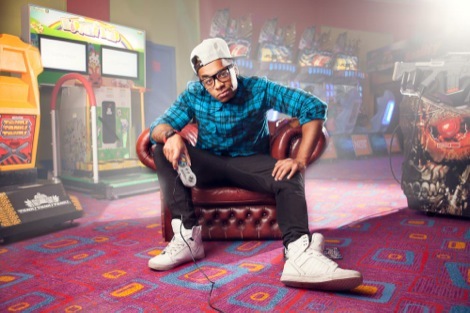 For November’s launch organisers have teamed up with one of the big success stories of the first GIT Award, Esco Williams for the launch of his debut single – The New Challenger. Since his nomination, Toxteth-born Williams, has gone from virtual unknown to a MOBO Award winner and for this year’s GIT Award launch organisers will host a special party in collaboration with Esco at Leaf’s Grade II Listed Grey Space on Water Street in Liverpool city centre. 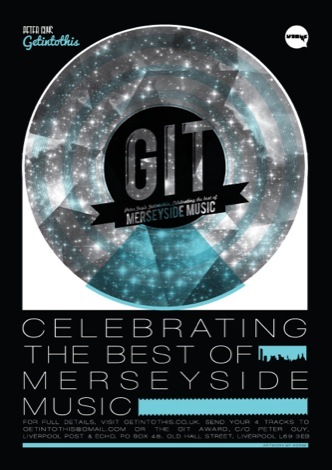 Peter Guy, Liverpool ECHO journalist and editor of Getintothis, said: “The GIT Award is once again open to all. I want the prize to appeal to everyone from bedroom musicians to those with record deals, all we’re asking is for Merseyside musicians to send us their four tracks and who knows who will make the shortlist this year. 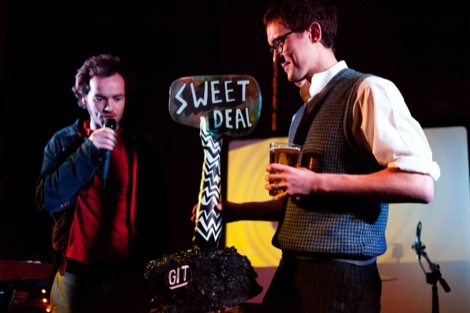 From over 380 entries in its first year, the 12 shortlisted GIT Award 2011 artists were: Bang On, Ex-Easter Island-Head, Forest Swords, Loved Ones, Miss Stylie, Mugstar, Ninetails, Outfit, Bill Ryder-Jones, Stealing Sheep, Tea Street Band and Esco Williams. 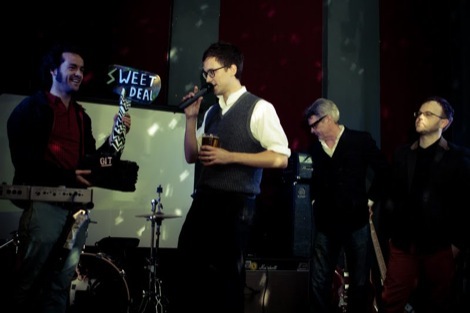 The nominees performed at a special showcase night hosted by John Robb at Leaf on Bold Street in April 2012 before Loved Ones were unveiled as the eventual winners. A special GIT Inspiration Award, recognising services to Liverpool’s music industry was unveiled on the night and collected by the team behind the Kazimier. 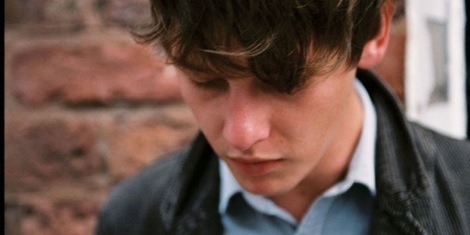 Liverpool music lovers know their city is home to some of the finest creative talent in the world. However, eyes and ears elsewhere may need convincing. The inaugural GIT Award readdressed all that and returns for 2013 to build on this success. Musicians, bands and creative types who would like to enter for this year’s prize are asked to send four tracks to getintothis@gmail.com or alternatively post to Peter Guy, The GIT Award, Liverpool Daily Post & ECHO, PO Box 48, Old Hall Street, Liverpool, L69 3EB. The closing date for entries will be Spring 2013 with the overall winner of the GIT Award and Inspiration Award to be announced in April 2013. Musicians are usually quite needy types who love public displays of gratitude and devotion so anything that caters to those whims can only be a good thing, right? The GIT Award – what a blast! A great way for a city bursting with talent to show off its wares and make sure it holds its crown as the most innovative, exciting and original musical conglomeration in the UK. Alexandra Topping, The Guardian.